Let me expound on the story I wrote earlier – I want to focus on the men and women that volunteer their time to come to a horrible place to pray and counsel. NEVER think for one moment that what you do is unnoticed or unappreciated. These precious people invest in classes and seminars all over the country to be effective and knowledgeable; they show up when no one will, rain or shine to be an ear that will listen or a shoulder to cry on. I still sting a bit from my failure [even after 30+ years] and seeing the ‘facility’ still makes me recoil. I want to be there more than I am and I’m working toward it. Just like the decades it took to digest my failure, I also have to allow God to work on my reluctance to show up more. There is not one day or even one hour that goes by that I don’t think about being there whether it’s open or not. I suppose I have to pull off that bandaid quickly, eh? But don’t let my abhorrence make you stay home! I am a creation that has been back to the Potter’s wheel to be reshaped into what He wants me to be. God loves me enough to give me air in my lungs every day the VERY least I can do is do what He asks me to do. 40 Days for Life gave me life back, and by that I mean that I finally had a kindred spirit to glean from. I should have been able to go to my church for healing, but sadly most churches don’t offer after-abortion Christian counseling and more often than not, they don’t mention abortion or prolife AT ALL. Nearly one-third of the women in their pews are post abortive and NO ONE is ministering to them. A woman went to the facility a few weeks ago and sadly she did abort. BUT our work is not over! She needs to know that God does NOT hate her! She needs to be able to cry for the loss of her child and grieve the failure. For most of us, it is a life-long process. If it were not for my Bible, I don’t know what I would have done in those secret times when I am my most vulnerable. If we give them the Gospel, the sky is the limit for them! I am most blessed; God hasn’t given up on me, Jesus is my Savior and my husband is my best friend….even though I failed. Being post-abortive is not a disease but kind of feels like it…alot of people would turn their head to a person like me but I thank GOD that I am supported by a great group of people. 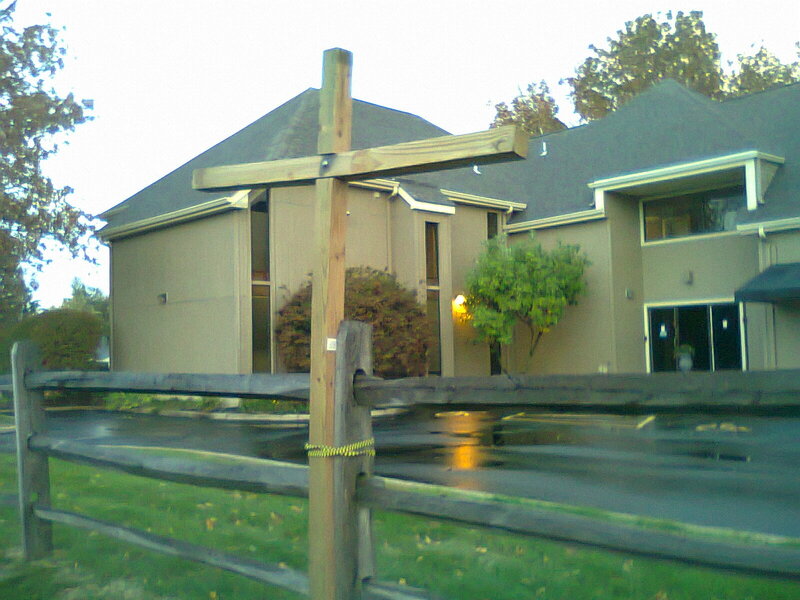 Go to a common sidewalk to do an uncommon thing….pray at the abortion facility in your community. Be present. Be diligent. Be a blessing….because whether they know it or not, there are young pre-abortive women and men that will go to that facility without hope. They need YOU!